There are 8 posts filed in Algorithm Design Manual – Solutions (this is page 2 of 2). 4-1. The Grinch is given the job of partitioning 2n players into two teams of n players each. Each player has a numerical rating that measures how good he/she is at the game. He seeks to divide the players as unfairly as possible, so as to create the biggest possible talent imbalance between team A and team B. Show how the Grinch can do the job in time. Solution First sort the players with an algorithm which runs in time and afterwards form two teams with the first n player in the first team and the last n players in the second team. 4-3. Take a sequence of 2n real numbers as input.Design an algorithm that partitions the numbers into n pairs, with the property that the partition minimizes the maximum sum of a pair. For example, say we are given the numbers (1,3,5,9). The possible partitions are ((1,3),(5,9)), ((1,5),(3,9)), and ((1,9),(3,5)). The pair sums for these partitions are (4,14), (6,12), and (10,8). Thus the third partition has 10 as its maximum sum, which is the minimum over the three partitions. Solution We can minimize the maximum sum if we pair up the lowest and the highest element. But first we have to sort our numbers which takes and create the pairs which takes . Solution We could sort and then iterate through and calculate the second number Now we just have to search for in which takes time. Therefore we take time. 4-7. Outline a reasonable method of solving each of the following problems. Give the order of the worst-case complexity of your methods. (a) You are given a pile of thousands of telephone bills and thousands of checks sent in to pay the bills. Find out who did not pay. (b) You are given a list containing the title, author, call number and publisher of all the books in a school library and another list of 30 publishers. Find out how many of the books in the library were published by each company. (c) You are given all the book checkout cards used in the campus library during the past year, each of which contains the name of the person who took out the book. Determine how many distinct people checked out at least one book. Solution (a) We can use quick sort in this scenario which works in expected time and match the ith bill with the ith check which takes time. (b) We can use a dictionary quite easily which counts the books by publisher. This takes where time. (c) We can sort the list by name and then iterate through it and count each different name. This takes about time. 4-9. Give an efficient algorithm to compute the union of sets A and B, where The output should be an array of distinct elements that form the union of the sets, such that they appear more than once in the union. (a) Assume that A and B are unsorted. Give an algorithm for the problem. (b) Assume that A and B are sorted. Give an O(n) algorithm for the problem. Let A got n elements and B got m elements with n >= m.
Solution We can build an “unsorted” heap in , i.e. only bring the smallest item at the top. Now we can extract k times the smallest item which takes $O(k \log n)$ time. 4-13. You wish to store a set of n numbers in either a max-heap or a sorted array. For each application below, state which data structure is better, or if it does not matter. Explain your answers. (a) Want to find the maximum element quickly. (b) Want to be able to delete an element quickly. (c) Want to be able to form the structure quickly. (d) Want to find the minimum element quickly. Solution (a) They are both equally fast. In the max-heap it’s the first element in the sorted array the last one. (b) A max-heap is here better because it takes only instead of for a sorted array. (c) Both the heap and the sorted array take time to be formed. 4-14. Give an -time algorithm that merges k sorted lists with a total of n elements into one sorted list. (Hint: use a heap to speed up the elementary – time algorithm). Solution We can basically do an heap sort on these lists. We iterate from i := 1 to n and select the smallest item from the head of each list which takes time. Therefore the algorithm takes time. 4-15. (a) Give an efficient algorithm to find the second-largest key among n keys. You can do better than comparisons. (b) Then, give an efficient algorithm to find the third-largest key among n keys. How many key comparisons does your algorithm do in the worst case? Must your algorithm determine which key is largest and second-largest in the process? (b) We can use the same method here as well. 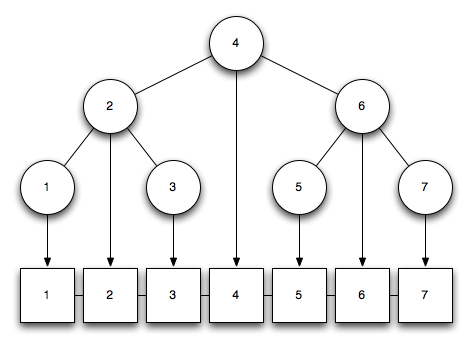 The largest second-largest key is implicitly found by constructing the heap. 4-16. Use the partitioning idea of quicksort to give an algorithm that finds the median element of an array of n integers in expected time. Solution The partition part of quicksort basically can help us. It determines partitions which are bigger respectively smaller than the pivot element. We just have to find n/2 elements which are smaller or equal to our element m which is then the median. This takes expected time. 4-19. An inversion of a permutation is a pair of elements that are out of order. (a) Show that a permutation of n items has at most inversions. Which permutation(s) have exactly inversions? (b) Let P be a permutation and Pr be the reversal of this permutation. Show that and have a total of exactly inversions. Solution (a) Let’s take for example the items 1..5. We can get the maximum inversions if we reverse this list, i.e. [5, 4, 3, 2, 1] or more general [n, n-1, …, 1]. Now we can start at the right and count the inversions. Therefore we got inversions at most. Therefore we get and we’re done. 4-24. Let A[1..n] be an array such that the first elements are already sorted (though we know nothing about the remaining elements). Give an algorithm that sorts A in substantially better than steps. Solution Merge sort can used quite nicely. We need to sort the remaining which takes time. Afterwards we have to use merge on our old and new sorted lists which takes time. Solution If insert, maximum and extract-max would be possible in we could use the following algorithm to sort data. • Put all the names in a single array and use binary search. • Put the good customers in one array and the rest of them in a second array. Only if we do not find the query name on a binary search of the first array do we do a binary search of the second array. Demonstrate which option gives better expected performance. Does this change if linear search on an unsorted array is used instead of binary search for both options? The first variant is a bit faster here. However in this case the second variant is far superior. 4-32. Consider the numerical 20 Questions game. In this game, Player 1 thinks of a number in the range 1 to n. Player 2 has to figure out this number by asking the fewest number of true/false questions. Assume that nobody cheats. (a) What is an optimal strategy if n in known? (b) What is a good strategy is n is not known? (b) We can start asking if the number is between 1 and two. If not we can double our range from two to four, four and eight, etc. 4-35. 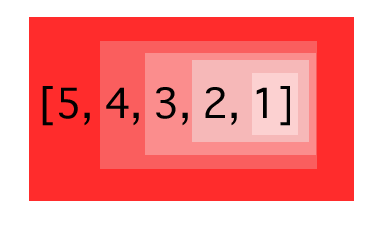 Let M be an integer matrix in which the entries of each row are sorted in increasing order (from left to right) and the entries in each column are in increasing order (from top to bottom). Give an efficient algorithm to find the position of an integer x in M, or to determine that x is not there. How many comparisons of x with matrix entries does your algorithm use in worst case? This algorithm runs in time. 4-39. Design and implement a parallel sorting algorithm that distributes data across several processors. An appropriate variation of mergesort is a likely candidate. Mea- sure the speedup of this algorithm as the number of processors increases. Later, compare the execution time to that of a purely sequential mergesort implementation. What are your experiences? For small to medium sizes the threaded version is a bit slower than the non-threaded one. However, for very big sizes the threaded version works faster. 4-45. Given a search string of three words, find the smallest snippet of the document that contains all three of the search words—i.e. , the snippet with smallest number of words in it. You are given the index positions where these words in occur search strings, such as word1: (1, 4, 5), word2: (4, 9, 10), and word3: (5, 6, 15). Each of the lists are in sorted order, as above. Solution We can sort these positions with its identifier. Afterwards we iterative through the list and put identifiers on a stack. If we got all of them, we found the snippet. We replace each identifier if we find a nearer one. At the end, we just have to search for the smallest snippet in all snippets. 3-1. A common problem for compilers and text editors is determining whether the parentheses in a string are balanced and properly nested. For example, the string ((())())() contains properly nested pairs of parentheses, which the strings )()( and ()) do not. Give an algorithm that returns true if a string contains properly nested and balanced parentheses, and false if otherwise. For full credit, identify the position of the first offending parenthesis if the string is not properly nested and balanced. 3-3. We have seen how dynamic arrays enable arrays to grow while still achieving constant-time amortized performance. 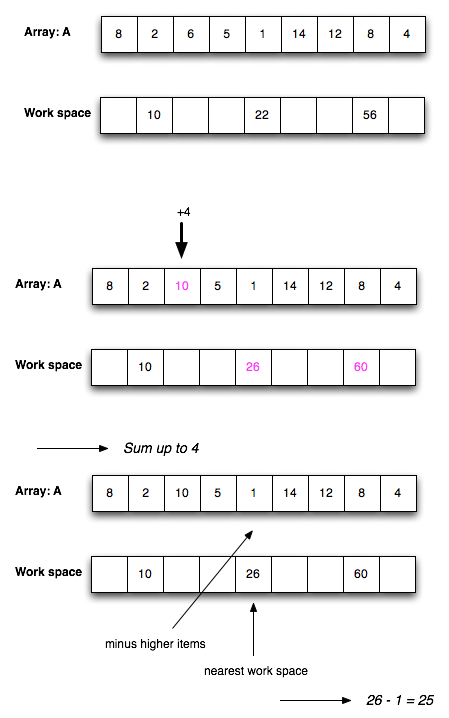 This problem concerns extending dynamic arrays to let them both grow and shrink on demand. Solution: 3-3. (a) Let’s assume that the array is current fulled at half. If we delete one element it will cut in half. If we now add a new element it have to expand. (b) Instead of shrinking it by half its size I would shrink it only by a forth its size. So we have a buffer which avoids shrinking and expanding in too short periods. 3-4. Design a dictionary data structure in which search, insertion, and deletion can all be processed in O(1) time in the worst case. You may assume the set elements are integers drawn from a finite set 1, 2, .., n, and initialization can take O(n) time. 3-6. Describe how to modify any balanced tree data structure such that search, insert, delete, minimum, and maximum still take O(\log n) time each, but successor and predecessor now take O(1) time each. Which operations have to be modified to support this? Each node gets a pointer to its entry on the double linked list. Let’s see if it still works in . Search, minimum and maximum haven’t really changed, so this works still fine. What about insert and delete? Assume that 3 isn’t inserted yet. We transverse the list up to node 2. We know that the node of 3 will be placed on the right. Now we have to check what happens with the double linked list. Node 2 refers to list entry 2 which has a successor list entry 4. So we have to point 2 to 3 and 3 to 2 and 4 and we’re done. The same works for deletion. Successor and predecessor are available through the double linked list with . And we’re done. • insert(x,T) – Insert item x into the set T .
• delete(k,T) – Delete the kth smallest element from T.
• member(x,T) – Return true iff x ∈ T .
All operations must take time on an n-element set. Solution: We use a basic binary search tree for this and add two counters which count the number of children nodes. Here you can see how the counters in pink. Let’s look at 4. 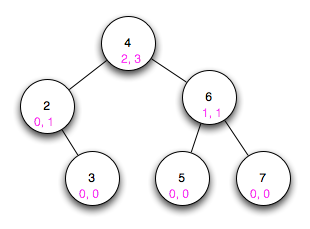 The pink 2 indicates that there are 2 nodes on the left, i.e. smaller than 4. And the pink 3 indicates that there are 3 nodes on the right, i.e. bigger than 4. What happens if we insert an item? 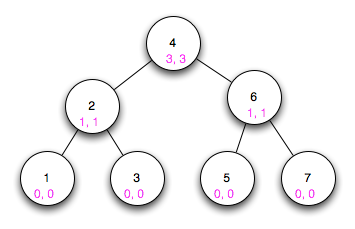 We do the standard insert traversal of a binary search tree with the difference that in each node we add a one to our counter because there will be one more node if we added our new item. You can see what happened when we added 1. Besides adding the node we increased the left counter of 2 by one and the left counter by 4 by 1 because we traveled this way. So there’s no problem on inserting new nodes with complexity. The last one is delete(k, T) which removes the kth smallest item. Finally we can use our counters. The first counter indicates if our kth smallest item is on the left, the item or on the right. Example 1: We want the 3th smallest item. We start at 4 and see that there are 3 items on the left, i.e. the 3th smallest item in its left children. Next we are at 2 and see that there are 1 on the left and 1 on the right, therefore we have to go right (1 left + item itself + 1 right item = 3). Now we have arrived 3 and there are no other child items therefore 3 is our 3th smallest item. Example 2: We want the 4th smallest item. We start at 4 and see that there are 3 items to the left. Therefore the 4th smallest item is 4 itself. This is basically some kind of binary search so it also works with complexity. 3-12. Suppose you are given an input set S of n numbers, and a black box that if given any sequence of real numbers and an integer k instantly and correctly answers whether there is a subset of input sequence whose sum is exactly k. Show how to use the black box O(n) times to find a subset of S that adds up to k.
Solution: The first time we enter our set S. If it returns yes we can continue otherwise it isn’t possible to form the sequence which sums up to k.
The next step is to test our Set without the first element. If the black box returns yes we can delete it from our set otherwise we know that it is needed. We do this for each element and our S shrinks to a set which sums up to k.
• Add(i,y) – Add the value y to the ith number. • Partial-sum(i) – Return the sum of the first i numbers, i.e. There are no insertions or deletions; the only change is to the values of the numbers. Each operation should take steps. You may use one additional array of size n as a work space. Solution: The general idea is to use the work space for the sums. Instead of using each i, I will only use log n of them to guarantee for each operation. 3-17. A Caesar shift (see Section 18.6 (page 641)) is a very simple class of ciphers for secret messages. Unfortunately, they can be broken using statistical properties of English. Develop a program capable of decrypting Caesar shifts of sufficiently long texts. HYHUBRQH, IURP DOO WKUHH JURXSV, VWDUWHG SODBLQJ DW URXJKOB WKH VDPH WLPH - DURXQG WKH DJH RI ILYH. LQ WKRVH ILUVW IHZ BHDUV, HYHUBRQH SUDFWLVHG URXJKOB WKH VDPH DPRXQW - DERXW WZR RU WKUHH KRXUV D ZHHN. 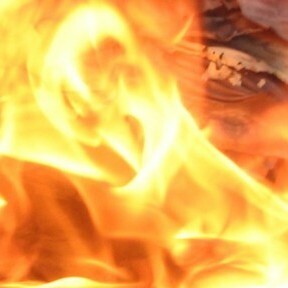 EXW DURXQG WKH DJH RI HLJKW UHDO GLIIHUHQFHV VWDUWHG WR HPHUJH. WKH VWXGHQWV ZKR ZRXOG HQG XS DV WKH EHVW LQ WKHLU FODVV EHJDQ WR SUDFWLVH PRUH WKDQ HYHUBRQH HOVH: VLA KRXUV D ZHHN EB DJH QLQH, HLJKW EB DJH 12, 16 D ZHHN EB DJH 14, DQG XS DQG XS, XQWLO EB WKH DJH RI 20 WKHB ZHUH SUDFWLVLQJ ZHOO RYHU 30 KRXUV D ZHHN. EB WKH DJH RI 20, WKH HOLWH SHUIRUPHUV KDG DOO WRWDOOHG 10,000 KRXUV RI SUDFWLFH RYHU WKH FRXUVH RI WKHLU OLYHV. WKH PHUHOB JRRG VWXGHQWV KDG WRWDOOHG, EB FRQWUDVW, 8,000 KRXUV, DQG WKH IXWXUH PXVLF WHDFKHUV MXVW RYHU 4,000 KRXUV. VR LW PDB EH WKDW 10,000 KRXUV, QRW 10 BHDUV, LV WKH PDJLF QXPEHU. (KHQUL FDUWLHU-EUHVVRQ (1908-2004) VDLG "BRXU ILUVW 10,000 SKRWRJUDSKV DUH BRXU ZRUVW," EXW KH VKRW PRUH WKDQ RQH DQ KRXU.) VDPXHO MRKQVRQ (1709-1784) WKRXJKW LW WRRN HYHQ ORQJHU: "HAFHOOHQFH LQ DQB GHSDUWPHQW FDQ EH DWWDLQHG RQOB EB WKH ODERU RI D OLIHWLPH; LW LV QRW WR EH SXUFKDVHG DW D OHVVHU SULFH." DQG FKDXFHU (1340-1400) FRPSODLQHG "WKH OBI VR VKRUW, WKH FUDIW VR ORQJ WR OHUQH." KLSSRFUDWHV (F. 400EF) LV NQRZQ IRU WKH HAFHUSW "DUV ORQJD, YLWD EUHYLV", ZKLFK LV SDUW RI WKH ORQJHU TXRWDWLRQ "DUV ORQJD, YLWD EUHYLV, RFFDVLR SUDHFHSV, HASHULPHQWXP SHULFXORVXP, LXGLFLXP GLIILFLOH", ZKLFK LQ HQJOLVK UHQGHUV DV "OLIH LV VKRUW, [WKH] FUDIW ORQJ, RSSRUWXQLWB IOHHWLQJ, HASHULPHQW WUHDFKHURXV, MXGJPHQW GLIILFXOW." DOWKRXJK LQ ODWLQ, DUV FDQ PHDQ HLWKHU DUW RU FUDIW, LQ WKH RULJLQDO JUHHN WKH ZRUG "WHFKQH" FDQ RQOB PHDQ "VNLOO", QRW "DUW". """ 3-24. What is the best data structure for maintaining URLs that have been visited by a Web crawler? Give an algorithm to test whether a given URL has already been visited, optimizing both space and time. Solution: An easy way is to use a hash table for the domains and a hash table for paths. First we use our extra memory to store multiplications. We multiply numbers together. This takes Now we just need to find our number by using this pre-multiplications and one element of the original array. This takes for all M about time. Therefore we have total run time. 2-1. What value is returned by the following function? Express your answer as a function of n. Give the worst-case running time using the Big Oh notation. Solution: To find out what value is returned just represent this function mathematically and simplify it. We can break this down into sub steps. On the ith day we get presents. 2-44. We have 1,000 data items to store on 1,000 nodes. 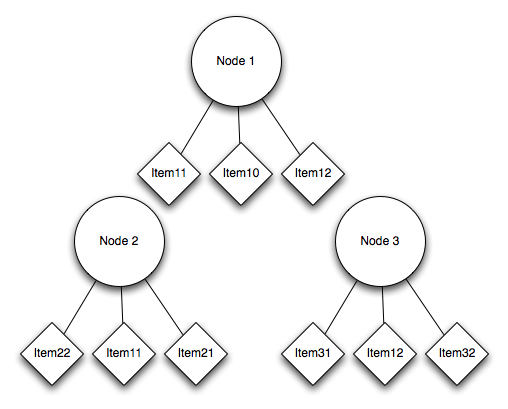 Each node can store copies of exactly three different items. Propose a replication scheme to minimize data loss as nodes fail. What is the expected number of data entries that get lost when three random nodes fail? The idea is to save on each node the value of the corresponding left and right nodes and of course the main value. In the last nodes we got some free space were we can save item10 because it isn’t backed up yet. So what happens if three nodes fall out? There are various scenarios. 2. A node and its parent fall out, e.g. Node 1 and 2. Here we just lose Item 11. 3. A random node falls out, e.g. Node 3. No problem whatsoever. We can retrieve Item12 from Node 1. 2-46. You have a 100-story building and a couple of marbles. You must identify the lowest floor for which a marble will break if you drop it from this floor. How fast can you find this floor if you are given an infinite supply of marbles? What if you have only two marbles? Solution: The first case with infinite supply of marbles is very easy. We just do a binary search on the story building, i.e. we need about 7 marbles. The second case is a bit more demanding. I would start to try to minimize the possible interval as much as possible by starting with a marble in the middle of the whole interval, i.e. at the 50th story. If it’s broken we have to work our way up from 1 to at max 50. If it’s still alive we can cut the next interval into half till we find our floor. Yeah, new book series! I had laying this book around for about two and an half years and only read about a quarter of it but never worked through it. So, I decided to work through it and post interesting problems and solutions online. The book consists of two parts. The first part treats the algorithmic basics. The second part is just a reference of different algorithmic problems and ways to solve it. I won’t cover the second part, mainly because there are no exercises. 1-1. Show that a + b can be less than min(a, b). 1-2. Show that a × b can be less than min(a, b). 1-5. The knapsack problem is as follows: given a set of integers , and a target number T, find a subset of S which adds up exactly to T. For example, there exists a subset within that adds up to but not . Find counterexamples to each of the following algorithms for the knapsack problem. That is, giving an S and T such that the subset is selected using the algorithm does not leave the knapsack completely full, even though such a solution exists. (a) Put the elements of S in the knapsack in left to right order if they fit, i.e. the first-fit algorithm. (b) Put the elements of S in the knapsack from smallest to largest, i.e. the best-fit algorithm. (c) Put the elements of S in the knapsack from largest to smallest. 1-16. Prove by induction that n3 + 2n is divisible by 3 for all n ≥ 0. Solution: The base case is which is true. The first term is parenthesis is our assumption and the second term is obviously divisible by 3, therefore we showed that our assumption is true. 1-26. Implement the two TSP heuristics of Section 1.1 (page 5). Which of them gives better-quality solutions in practice? Can you devise a heuristic that works better than both of them? NearestNeighbour createst shorter paths for small input graphs. For midsize input paths and big input graphs closestPair creates smaller paths. However nearestNeighbour is much faster. In conclusion, it depends on the application which heuristic is more suitable. 1-28. Write a function to perform integer division without using either the / or * operators. Find a fast way to do it. If we can find a bigger divisor we could speed it up. An easy way is to multipy the divisor by itself as long as it divides the denominator with a rest. This works quite nice and can speed up the process substantially.